General access to the Ultra Europe 2019 at Poljud Stadium - Split, Croatia on 12, 13 and 14 July Get 5 tickets, unlock the 6th. Available exclusively to those with Ultra Passport. Price is for 5 + 1 tickets, e.g., if you want to buy a group ticket for 6 people, you need to add 1 item in the basket. PLEASE NOTE that all members of the group must be present at the same time upon arrival to receive their wristband as only one ticket is issued for the whole group. Buy 5 tickets, unlock the 6th for free! Allows entry to: Opening Party, Ultra Europe, Brač Regatta, Ultra Beach, Ultra Beach After Party and Closing Party. Time table: 11th July - Destination Ultra Opening Party - Hemingway, Split 12th-14th July - Ultra Europe 2019 - Poljud Stadium, Split 15th July - Regatta - Club 585, Island of Brač 16th July - Ultra Beach - Hotel Amfora Grand Beach Resort, Island of Hvar 16th July - Ultra Beach After Party (RESISTANCE Hvar) - Carpe Diem Beach Club, Island of Hvar 17th July - Destination Ultra Closing Party (RESISTANCE Vis)- Fort George, Island of Vis Note: the dinner at Fort George ahead of the Closing party is NOT included. One ticket for all RESISTANCE events during Destination Ultra 2019! Allows entry to: Opening Party, Ultra Europe, Ultra Beach After Party and Closing Party Time table: 11th July - Destination Ultra Opening Party - Hemingway, Split 12th-14th July - Ultra Europe 2019 - Poljud Stadium, Split 16th July - Ultra Beach After Party (RESISTANCE Hvar) - Carpe Diem Beach Club, Island of Hvar 17th July - Destination Ultra Closing Party (RESISTANCE Vis)- Fort George, Island of Vis Note: the dinner at Fort George ahead of the Closing party is NOT included. The Destination Ultra Opening Party – otherwise known as THE kickoff to Europe’s Premier Destination Music Festival takes place at the stunning waterfront Hemingway Bar. 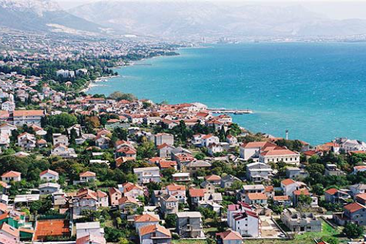 Located just a few minutes away from Poljud Stadium, we invite you to begin your 7-day Croatian excursion right here. The Opening party is an ideal introduction to your Destination Ultra experience combining the breathtaking view of Split, emphatic electronic music and hundreds of like-minded partygoers ready to take part in the Ultra Europe festivities! After an unforgettable weekend in Split comes to a close, the island hopping begins as we head to Brač for the Regatta at Club 585! Immerse yourselves in the breathtaking scenery of this magnificent island during the day. By night, Brač will become a musical paradise featuring Croatia’s favorite DJs under the starry sky. 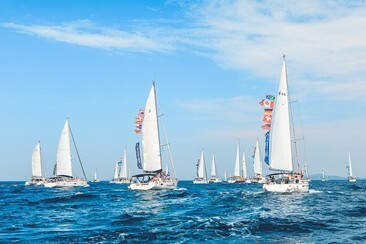 After three days of unadulterated joy at the main event at the Poljud Stadium in Split, party-goers from all over the world will journey to the most prestigious island on the Croatian coast - the Island of Hvar. Here, the Ultra Beach happens at the luxurious Amfora Grand Beach Resort. An exotic ambiance, wild music with A-list DJs, poolside dancing and the smiling faces of 5,000 happy clubbers makes this party the best pool party Hvar has ever seen, and a lifelong memory. Once the sun has set at Ultra Beach, we invite you to join the RESISTANCE, Ultra Worldwide’s burgeoning house and techno brand, at the spectacular Carpe Diem Beach Club all night long. All good things come to an end and so does Destination Ultra week with its last stop on the island of Vis. The Resistance Vis Closing party is held at a unique location on the island, a two centuries old Fort George fortress. The event represents a perfect end of Ultra Destination week that offers a combination of amazing views of sunset and the open sea, intimate atmosphere and techno beats – something every Ultranaut has to experience. Meet us at the fortress and end your party week in style! Choose from the ALL INCLUSIVE or Split Edition Ultra Europe Boat Party ready to sail and party in beautiful Split archipelago. 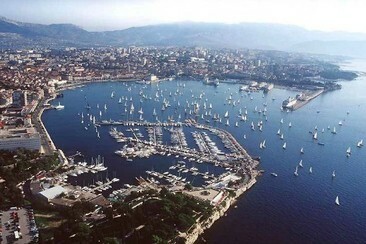 Departure and ending point is West Coast (Zapadna Obala) in Split. No swimming & jumping off the boat allowed during the sailing time – the boat captain will make a swimming time stop so you’ll be able to jump of safely to the crystal clear sea (don’t forget to take your swimming suits & towels). Ultra Europe Boat Party to Hvar (with returning transfer) is a fun-filled trip created as a great warm up for Ultra Beach Party! NOTE: Drinks or any other additional services are not included in price. The Beachville Campsite offers the ultimate camping experience with facilities including: restaurants, a mini-market, toilet and shower facilities, an exchange office, an ATM machine, lockers, a charging station and Wi-Fi. Situated on the beach, with stunning views of the Dalmatian coast and crystal clear water, this campsite is by far the largest and most fun-filled camping option on offer. This campsite, with its private beach and fabulous features is the perfect way to ensure your time at Ultra Europe is unforgettable. 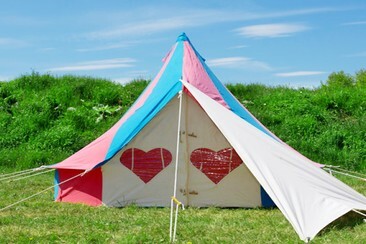 The Beachville Campsite is organised and located within the area and is reachably via the Beachville shuttle. Podpad camping will be situated at the Beachville Campsite. 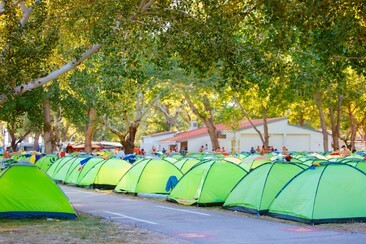 The campsite offers the ultimate camping experience with facilities including: restaurants, a mini-market, toilet and shower facilities, an exchange office, an ATM machine, lockers, a charging station and Wi-Fi. Situated on the beach, with stunning views of the Dalmatian coast and crystal clear water, this campsite is by far the largest and most fun-filled camping option on offer. This campsite, with its private beach and fabulous features is the perfect way to ensure your time at Ultra Europe is unforgettable. 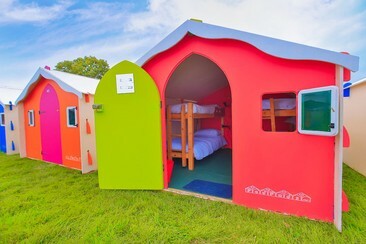 The beach homes are located within the Beachville Campsite, and sleep up to 3 people. The Beachville Campsite offers the ultimate camping experience with facilities including: restaurants, a mini-market, toilet and shower facilities, an exchange office, an ATM machine, lockers, a charging station and Wi-Fi. Situated on the beach, with stunning views of the Dalmatian coast and crystal clear water, this campsite is by far the largest and most fun-filled camping option on offer. This campsite, with its private beach and fabulous features is the perfect way to ensure your time at Ultra Europe is unforgettable. 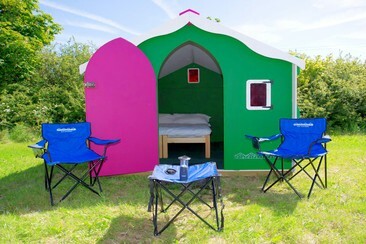 The beach homes are located within the Beachville Campsite, and sleep up to 4 people. The Beachville Campsite offers the ultimate camping experience with facilities including: restaurants, a mini-market, toilet and shower facilities, an exchange office, an ATM machine, lockers, a charging station and Wi-Fi. Situated on the beach, with stunning views of the Dalmatian coast and crystal clear water, this campsite is by far the largest and most fun-filled camping option on offer. This campsite, with its private beach and fabulous features is the perfect way to ensure your time at Ultra Europe is unforgettable. 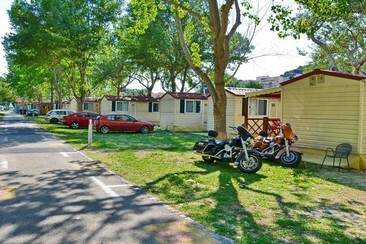 The beach homes are located within the Beachville Campsite, and sleep up to 6 people. The Beachville Campsite offers the ultimate camping experience with facilities including: restaurants, a mini-market, toilet and shower facilities, an exchange office, an ATM machine, lockers, a charging station and Wi-Fi. Situated on the beach, with stunning views of the Dalmatian coast and crystal clear water, this campsite is by far the largest and most fun-filled camping option on offer. This campsite, with its private beach and fabulous features is the perfect way to ensure your time at Ultra Europe is unforgettable. 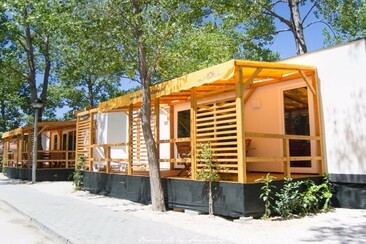 Hostel is located in Kastel Stafilic - Nehaj, 5 km away from Trogir and 15km from Split. Distance from the beach is 50m, surrounded by a spacious, preserved school park with sports fields for soccer, volleyball, basketball. Inside the building is a TV room and a small hall for table tennis. 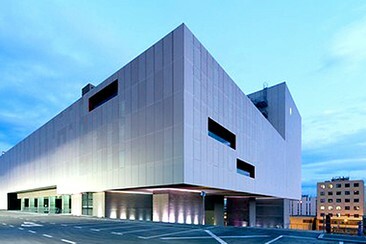 On each floor there are shared sanitary facilities. Hostel Novi is located in Split's educational district, in the southern part of the city, and is only a short walk to the breathtaking coast line as well as some of Split's most enchanting beaches. The hostel is spread over 9 floors, and has over 600 beds in dormitories that have private bathrooms. Other hostel facilities include: a kitchen, a laundry room, a front reception desk, a TV room, 2 outdoor basketball courts, a gym, and a restaurant. The Hostel Novi's eye-catching architecture, its lush greenery, and special light shows at night are only some of the reasons to stay. The nearest bus stop is a 5-minute walk from Hostel Novi, and the city centre can be reached within 30 minutes by foot. The beach is 15 minutes away. This 5-star hotel President Solin is located in the very centre of town Solin, well known for its historical discoveries and rich Mediterranean culture. 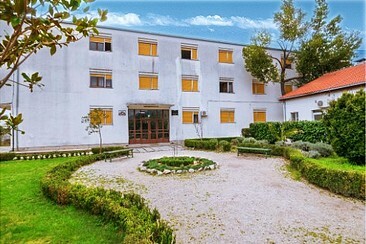 It is conveniently located just a few minutes from ancient city of Split and the famous Diocletian’s Palace. 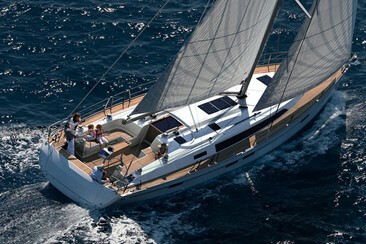 The property is 6 km from the ferry port and the beach and 12 km from the International Airport. Hotel modern design, great comfort and above all exceptional and attentive staff will make your stay at the Hotel President unforgettable. The hotel also features a restaurant that serves diverse dishes that blend Mediterranean and international flavours as well as an indoor and an outdoor pool. This hotel features 92 luxury equipped rooms and 4 residential suites. Tastefully decorated and arranged with top-end amenities, rooms have either a king bed or two single beds, comfortable furniture and elegant bathrooms. All rooms have balconies and offer views of beautiful surroundings. Located by the Adriatic Sea and just a 15-minute walk from the Old Town of Split, this 3-star hotel offers just 20 guest rooms with cable TV and private bathrooms with a hairdryer. Some feature a sea view and balcony. Guest can enjoy meals at the hotel restaurant and can make use of the hotel’s laundry service at a fee. 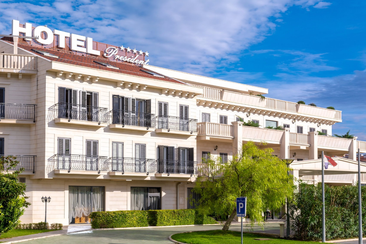 The hotel is 2 kilometres away from the very city centre, the Diocletian’s Palace, and is easily approached by walking down the beautiful and newly renovated West Coast and across the world-famous Riva Promenade. Above the hotel rises the south slope of Marjan Forest Park, while in front of it is an open sea, guests can see the islands of Šolta, Čiovo and Brač. These 3* apartments are located in the Kašteli part of Split, close to a long stretch of beach next to the seaside. 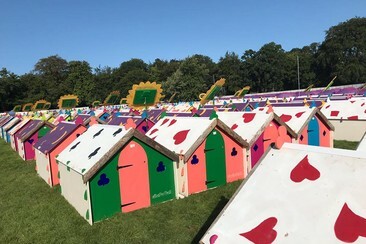 The apartments sleep between 2 to 6 people. Please note that a cash security deposit must be paid directly to the owner upon arrival. An air-conditioning charge of €5-7 per day may also apply (this must be paid directly to the owner upon arrival). 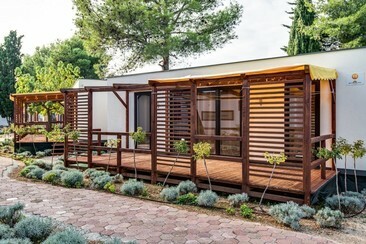 You'll stay in a 3* Apartment within Kašteli. Images are for the illustration of apartment standards only, and do not represent your specific apartment. These 3* apartments are located in the Podstrana area of Split, close to a long stretch of beach and tourist area next to the seaside. The festival shuttle bus can take you to and from the apartments to Stadion Poljud, and has stops on the main road running through Podstrana. The apartments sleep between 2 to 6 people. Please note that a cash security deposit must be paid directly to the owner upon arrival. An air-conditioning charge of €5-7 per day may also apply (this must be paid directly to the owner upon arrival). You'll stay in a 3* Apartment within Podstrana. Images are for illustration of apartment standards only, and do not represent your specific apartment. These 3* apartments are located in the centre of Split in Zone 2, and are situated close to the Poljud Stadium.The apartments are within easy reach of the port, railway, and bus station. Split's city centre offers many cocktail bars, restaurants, cafés, and bars with good music. The apartments sleep between 2 to 6 people, and vary in size and bedroom arrangement. Please note that a cash security deposit must be paid directly to the owner upon arrival. An air-conditioning charge of €5-7 per day may also apply (This must be paid directly to the owner upon arrival). You'll stay in a 3* Apartment within Split Zone 2. Images are for illustration of apartment standards only, and do not represent your specific apartment. These 3* apartments are located in the centre of Split in Zone 1, and are situated close to the Poljud Stadium.The apartments are within easy reach of the port, railway, and bus station. Split's city centre offers many cocktail bars, restaurants, cafés, and bars with good music. The apartments sleep between 2 to 6 people, and vary in size and bedroom arrangement. Please note that a cash security deposit must be paid directly to the owner upon arrival. An air-conditioning charge of €5-7 per day may also apply (This must be paid directly to the owner upon arrival). You'll stay in a 3* Apartment within Split Zone 1. Images are for illustration of apartment standards only, and do not represent your specific apartment. 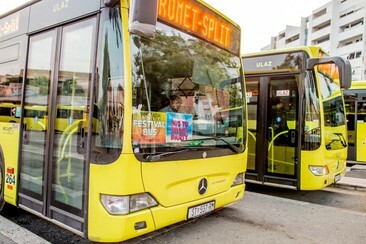 A Shuttle Bus ticket allows you unlimited rides on any of the routes (regular city bus lines “Promet Split” and special Beachville Direct line) for 7 days (July 10 – July 16, 2019). Shuttles will drop you off a short walk away from the Poljud stadium. Where is the Festival Shuttle Bus stop located? 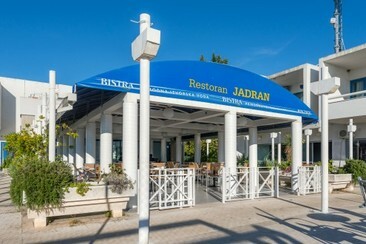 - Zone Trogir-Seget, Kastel, Solin, Podstrana 1&2: look for a bus stop sign on the main road. (If necessary ask at the reception or the apartment owner) - Beachville: Right outside the main entrance to the Campsite - Split 1: Sukoisanska bus station; the central station for all shuttle buses from & to all directions, final stop for Ultra Europe venue – the Poljud stadium There will be an increased number of departures in the festival peak hours (4:00PM-11:00PM) and fewer in non-peak hours (9:00AM-4:00PM). The shuttle bus lines go along the main roads and all our accommodation options are covered with shuttle bus connections. Available for Podpads and Bellepads. 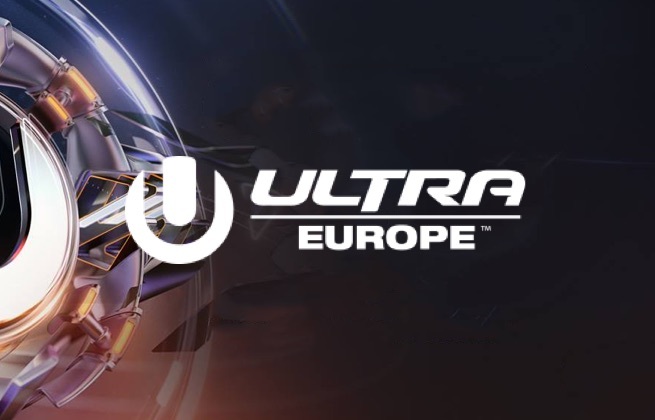 Ultra Europe is the European edition of the worldwide dance music festival, taking place each summer in Croatia and showcasing the biggest names in EDM, house, and techno. The main festival takes over Split's historical Stadion Poljud, filling it with names such as Swedish House Mafia, David Guetta and The Chainsmokers, while fireworks rise high into the sky and flags are waved relentlessly in what is possibly the most overwhelming production show going. Beyond the stadium, Ultra Europe also hosts a selection of other parties in what is known as Destination Ultra, including Ultra Beach on the island of Hvar, a Regatta beach party on Brač and a number of parties hosted by Resistance inside beach clubs and fortresses. All these come together to make Ultra Europe one of the key weeks in the continent's dance music calendar.